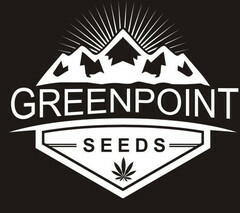 Greenpoint Seed Sale - Oregon Green Seed - a breeder-direct Pacific Northwest Cannabis seed company. Prices slashed by 20% on all Greenpoint gear. Sale starts today, Friday March 29, 2019 and will run through this weekend. Sale ends this Sunday at midnight. This is a GREAT opportunity for you to save some Greenbacks on some of Greenpoint Seed’s elite and popular hybrids. ← St. Patrick’s Day Sale – On Now.